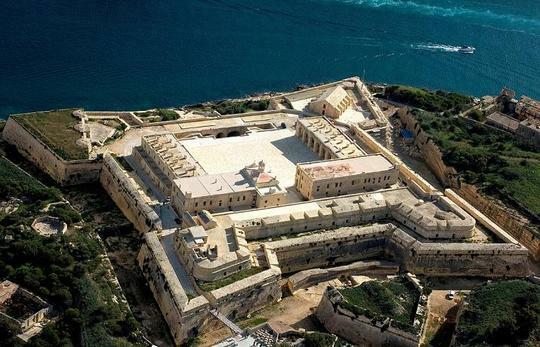 A delegation from Fondazzjoni Patrimonju Malti has praised the Midi consortium for restoration works currently being carried out on Fort Manoel at Manoel Island. Foundation Chairman Maurice de Giorgio and CEO Michael Lowell recently visited the works at Fort Manoel. Accompanied by Midi officials Ben Muscat and James Vassallo, they toured the parade ground, the newly restored Chapel of St Anthony of Padua, the casemate blocks, the barracks and the Polverista. Resotration works on St Helen's ditch and the Couvre Porte are both nearing completion. Mr de Giorgio remarked that on entering the parade ground, his first impression was one of grandeur and cleanliness. "The re-birth of the badly damaged chapel together with all the surrounding buildings, after the grim battering it received in wartime, looked even better than my pre-war recollection of Fort Manoel. This major laudable undertaking by Midi of the restoration work of such a vast area is impressive and is rendered that much more interesting through the numerous informative panels showing the various stages of reconstruction. Midi can be proud to have been responsible for the salvage of one of Malta's important historical sites," he said. Midi plc's restoration of Fort Tigné, Fort Manoel, the Lazzaretto and other sites on Manoel Island forms part of lease agreement signed between the consortium and the government in 2000. This is considered the largest restoration initiative ever carried out by a private company in Malta - with an investment of over €30 million.